Hello all! Now I want to make one apology about this post before I even start it... This coat has been featured twice. Ooops. It has also sold out... That's Zoella's influence for you! But you can still buy similar on boohoo here. The weather has been so beautiful lately, every UK blogger's DREAM. I'm definitely going to take advantage of the summer months for blogging, I do find that I blog more in the summer. Mainly because I have more time and the weather is more on my side. This summer Is going to be huge for me as it is my last one before University. Scary. Although I will miss beautiful Norfolk, I am ready for London... I think. I was going to delete this picture from the post as my scar on my eyelid is really visible and I am self conscious about it... But then I remembered that it is something individual about my appearance and I shouldn't try to mask that from any of you. I got this scar when I was 3 years old from falling over and hitting a wooden box. I had to have butterfly stitches, but as 3 year old of course I remember none of this: 16 years later and It's still visible. It has never really bothered me as I don't notice it anymore, I guess It's just a part of my face that is individual and I reckon I will have the scar for the rest of my life. Side note: How crazy long has my hair got in a year? I've been using some amazing products and I think I'll need to share them with you all in a blog post/youtube video. For me this is crazy different in under a year, my hair literally never grows! If I do a hair care I will probably do a video, and have photographs on my blog post with a link to it... But you can subscribe to my youtube for safety measures if you are interested! The little details really make an outfit for me. I think this photo really emphasises my short/petite-ness, I'm 5ft3 & 1/2 (yes the half matters) if you didn't already know! This photo captures my bronzer really well. 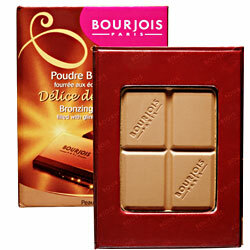 I'm using the bourjous chocolate bronzer at the minute and I absolutely ADORE it. If you're looking for a new bronzer that will be good for the summer season I definitely recommend it! I love this make-up look, I just adore gold shimmer on my eyelid it's by far my favourite eye look. I've been trying to match lips and nails more to my outfits. 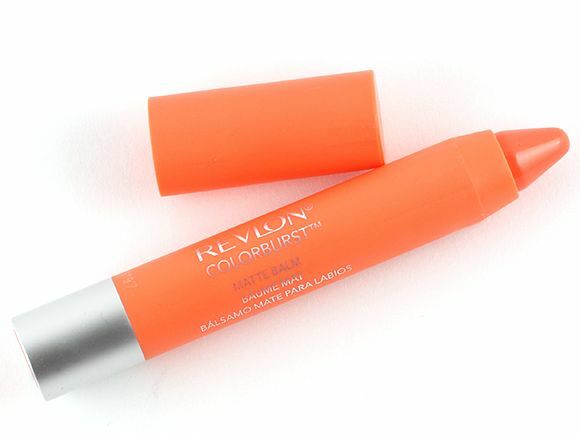 This gorgeous coral/orange colour is a Revlon Lip Butter Crayon in 'Mischievous', the nails are Ciate 'Big Yellow Taxi' and the shadow is Clinique 330 'Gold Rush'. If you have any questions on any of the make-up in this look, feel free to comment and I'll let you know. Do my hands look weird in this or is it just me? The bead work on these cute pumps definitely make a difference! I love delicate jewellery and I'm not a massive fan of dangly earrings generally. The first lobe earrings were a present from my parents from when they went to Nerja in the Easter holidays for a week. Baby blue is one of my favourite colours so I of course adore them. 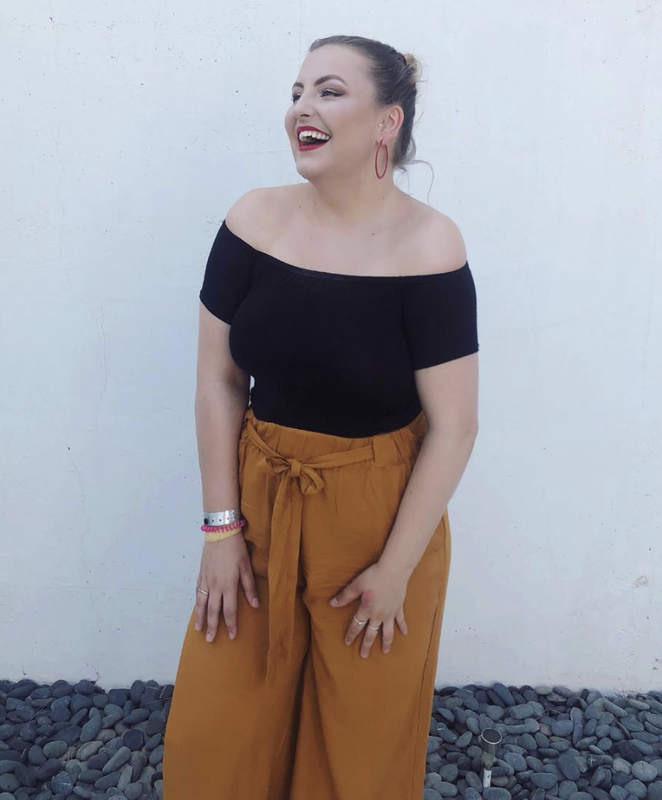 The little star earring and the tragus bar are both from Body Jewellery Shop and they have become great statements in my day to day jewellery look! Stunning right... STUNNING! This beautiful necklace is from Lisa Angel Uk and Is only £14. Lisa Angel are a jewellery, accessories and home ware retailer. They are a local independent store to me, situated in the Norwich Lanes. Lisa Angel offer a range of items in store and online. These include a range of jewellery from earrings, necklaces bracelets etc. as well as personalised jewellery (engraved). You can find accessories such as bags, make up bags and scarves, they also offer home ware which tends to be decorative/everyday items. You can find a wide selection of glasses, mugs, signs and other home ware essentials on their site but they offer a quirky twist to them with personalisation and a shabby sheek look. I adore their range and it is all available online with free delivery. This necklace especially would make a fabulous present for someone. I adore the fact that their jewellery has the option of personalisation at an affordable price. I'm going to leave you all with a question, what's your favourite company for delicate jewellery? Mine is Lisa Angel, look forward to hearing what you all think! GET EXCITED PEOPLE GET EXCITED!!!! I was doing my usual stroll through online shops and I went onto Tuesday Lane - OH MY. I would just like to 100% say that these wedges are genuinely from River Island. The River Island heels are normally between £50-£90 and frankly my budget doesn't stretch it. River Island sold these in three different shades to tuesday lane for them to sell on (similarly to how ASOS stock River Island). So I've been associated with Tuesday Lane for a while now and I have to say they never fail to surprise me with their stock. A lot of what you find on there is exactly what you've been looking for, but the price tag has been slashed in half. I've always been one for good quality at a low cost and Tuesday Lane definitely delivers on that one. Personally I find that wedges are one of the most comfortable heels to wear. 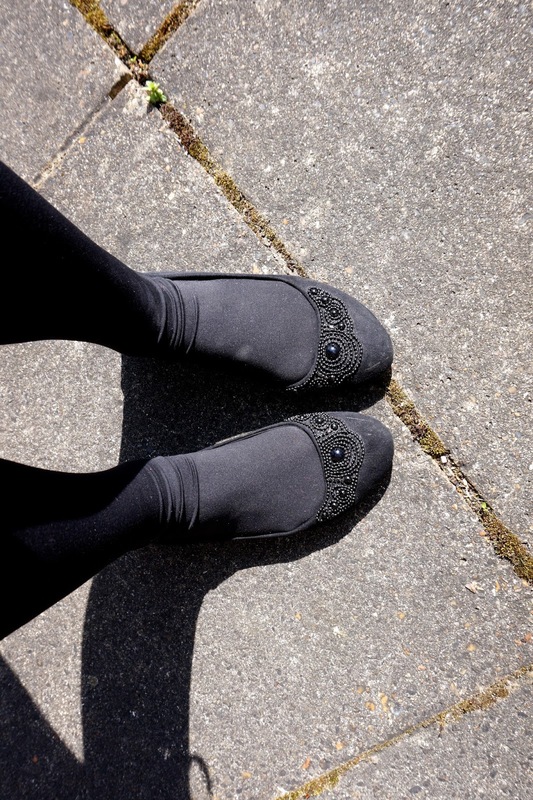 The platform however can cause me some ankle 'wobbly' moments depending on the shoe for me. These ones are perfect because they have strong support round the ankle and all the way down the foot. I don't find my self worrying about my feet I just get to trot around being about 5-6 inches taller, which for a 5ft3.5 (yes the point 5 matters) Is like a dream come true. I have to say I'm surprised these wedges are the price they are, monochrome is still a very large statement in fashion at the minute and the gold hardware make it easy to style with bags and jewellery! If I have convinced you but the black and white just isn't your style; don't fret. The wedges are also available in a gorgeous statement coral, perfect for spring, as well as a beige/cream pair. I honestly can't wait to style these beauties, I think I'm going to wear them out for one of my friends Natalie's 18th birthday. We've been talking about what we are going to wear for ages now and these wedges just fit the criteria perfectly. Hi EVERYONE! Yes, I know... I've been a bit quiet. (eek) I've been so busy as all of my friends are back from university and I also have two huge assignments due in when I get back off Easter AND I've been working weekends with my part-time job! Hectic I know. But I thought I would start off with a post on my monthly food box for you all! If you are a regular reader of my blog you'll know the Degustabox Uk are a monthly subscription box, although you can buy one off boxes. They make for great presents, ways to spice up your kitchen cabinets and for that excitement of not knowing what you may receive. I had never tried Maynards sour patch kids before. They are the perfect revision snack! I'm a massive lover of Granola, so you can imagine my excitement when I saw this huge bag in my box! Not a massive fan of the black cherry flavour but the Raspberry and Rhubarb was delicious! Happy Easter all, I am going to get some college work done now and prep a video and blog post before I go out for dinner tonight. Hope you all have a lovely day and fill up with lots of chocolate treats!